Level 25 is no longer the ceiling in Zwift. With the new update, Zwift released overnight, that cap is now up 50 levels. If you have been at level 25 for a while, next time you log in to Zwift, you will be prompted to unlock more levels. Zwift will reward you with a new level based on the miles or kilometers you’ve already logged. However, you won’t be given a new level instantaneously, instead, you will be on an accelerated path of 10x the XP points until you reach your level. However, if you feel like you want to take on a bigger challenge, you can opt-out of the accelerated path and start fresh from level 25 and earn your points the normal way. But be careful before you make this selection because there is no way to change that. If you are below level 25, you won’t notice any changes. Zwift is also testing Bluetooth access on Windows devices. This is currently in beta and only available on up-to-date Windows 10 devices that have Bluetooth 4 support. Zwift will natively support reading power data, speed, cadence, and heart rate over Bluetooth in this release. 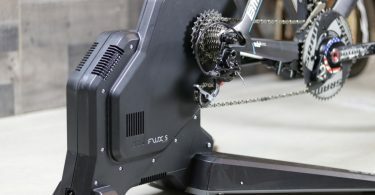 However, no control of trainers is supported yet – you will still need to use ANT+ or Bluetooth via Zwift Companion app. 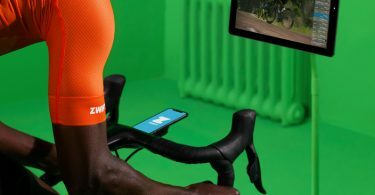 Zwift also warns against using Bluetooth on Windows devices for now for important races or rides. You can also see Bluetooth strength now on supported devices. Save screen now allows you to pick your privacy of how your activity shows up on the Zwift Companion app. NOTE: 3rd parties such as Strava, Garmin, MapMyRide will each have their own privacy settings that are unaffected by the Zwift activity feed setting. BETA: Windows Bluetooth early access. On up-to-date Windows 10 devices that have Bluetooth 4 support, we now natively support reading power data, speed, cadence, and heart rate over Bluetooth in this release. No control of trainers is supported yet (you will still need to use ANT+ or Bluetooth via Zwift Companion for that). DO NOT USE for important races or rides, it’s there for testing and we’d love feedback here 11 in our forums about your experience if you decide to give it a try. On the iPhone do we just touch the ” BRING ON THE LEVELS” button, or will touching that cause the ” No Thanks” to activate ? Sometimes when the selection is close together on the iPhone, it tends to go elsewhere. I did mine on the iPhone X and had no problem. They made the button big enough to not miss. I wonder if you will get a warning message if you select the “No Thanks” option.